Connect with us on Facebook and stay up to date on the latest developments with our practice and get regular health updates and news. If you are an existing patient, we have a free service available called the "Patient Portal." The link below allows you to communicate in a secure manner directly with members of our health care team. To use the Patient Portal, you must obtain a username and password. 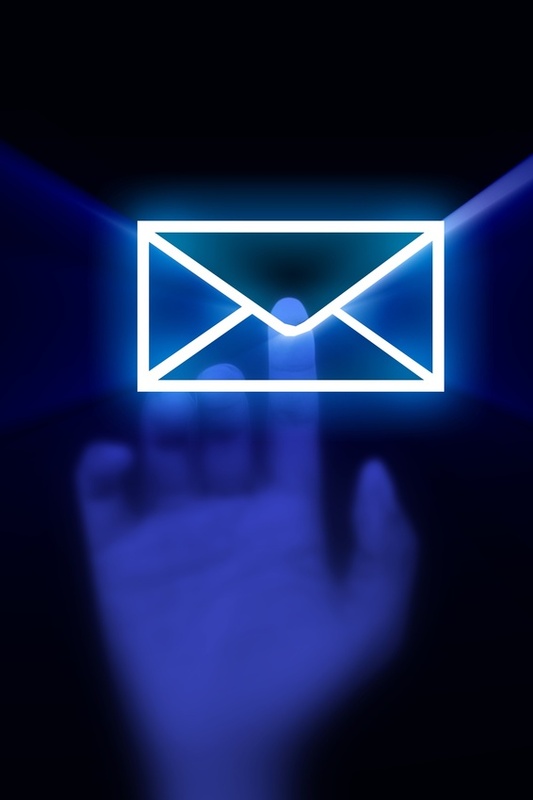 You must have a permanent email address that you check consistently. Please contact our office and we will assign you a username and a temporary password. You may submit a request to change your password at any time by clicking on the option "change/reset password" on the logon page. This will temporarily lock you out of your account until the password is accepted by our office staff online. For security reasons, if you submit an incorrect password 5 times, you will be locked out of the Portal and will need to contact our office to unlock your account. Use is limited to non-emergency communication and requests. The Portal facilitates communication between appointments. However, the Portal does not replace your scheduled clinic appointments. It is not checked on the weekends. Please allow up to 72 hours to respond to communications and requests. We will not send any private health information to your e-mail (non-secure). We will send you an e-mail only when necessary, to request that you access the secure Patient Portal to review private healthcare information that we have posted on your Patient Portal. Do not store messages on your employer-provided computer; otherwise personal information can be accessible or owned by your employer. Do not allow other individuals or other third parties to access the computer(s) upon which you store medical communications. If you have or learn of any personal e-mail addresses that I use, you agree not to use them for medical communications. Standard e-mail lacks security and privacy features and may expose medical communications to employers or other unintended third parties. Withdrawal of this Informed Consent must be done by written online communications or in writing to our office. Confirm that your name and other personal information in the message is correct. Review the message before sending it to make sure that it is clear and that all relevant information is included. Update your contact information online as soon as it changes including your regularly used e-mail address. We do not use your e-mail account to send private health care communication due to lack of security. We will send a notification to your e-mail address when a message has been sent to you in your Patient Portal. My office will keep a copy of all medically important Patient Portal communications in your electronic medical record. This means that appropriate members of my staff will have access to these communications as part of our medical records keeping, treatment, and billing. You should print or store (on a computer or storage device owned and controlled by you) a copy of all Patient Portal communications that are important to you. I will not forward Patient Portal communications to third parties except as authorized or required by law. You agree to follow the procedures that we implement that will allow us to verify your identity in connection with Patient Portal communications and you acknowledge that failure to comply with these procedures may terminate our Patient Portal communications. Patient Portal communications will be used only for limited purposes. Patient Portal communications cannot be used for emergencies or time-sensitive matters. It should be used with caution. We will make every attempt to respond within the timeframe we have designated. However, there may be times when this is not feasible, and you understand and agree to accept variations in response times and use other forms of communications with our office if Patient Portal responses are not satisfactory to you. Please note that Patient Portal communications should never be used for emergency communications or urgent requests. These should occur via telephone or using existing emergency communications tools. While we will take reasonable precautions to protect your information, we are not liable for improper disclosure of confidential information unless it was caused by our intentional misconduct. Follow-up is solely your responsibility. You are responsible for scheduling any necessary appointments and for determining if an unanswered online communication was not received or responded to in a timely fashion. You are responsible for taking steps to protect yourself from unauthorized use of Patient Portal communications, such as keeping your password confidential. We are not responsible for breaches of confidentiality caused by you or an independent third party. Online communications does not decrease or diminish any of the other ways in which you can communicate or see me. It is an additional option and not a replacement. You are encouraged to contact my office via telephone, mail or in person, as always, if you have any questions or needs. Your doctor alone will decide which medical topics are appropriate for online communications and with whom we communicate with online. You may be directed to contact us via telephone or in person at any time. We may stop providing online communications with you or change the services we provide online at any time without prior notification to you. Online communications may travel much further than you planned. It is easier for online communications to be forwarded, intercepted, or even changed without your knowledge. Online communication is easier to falsify than handwritten or signed hard copies. A dishonest person could attempt to impersonate you to try to get your medical records. It is harder to get rid of an online communication. Backup copies may exist on a computer or in cyberspace, even after you have deleted your copies. Online communication is not private simply because it relates to your own medical information. We use a secure network for the Patient Portal and avoid using standard e-mail or e-mail systems provided by employers to transmit private health care information. Employers and online services have a right to inspect and keep online communications transmitted through their system. By using the “Patient Portal” you acknowledge that you have read and fully understand the Terms & Conditions as described. You understand the procedures and risks associated with online communications with your healthcare team and you consent to the conditions described. We are assoicated to these key words MD plano; plano internist, west plano internal medicine, plano doctor, internist, doctor. family medicne, family practive in plano, HTN, DM, Arash Tirande Tirandaz, Mary M. Hammack, Chandra Browninternal medicine, family medicine, family practice, plano internist, frisco internist, plano doctor, shah, sury, tirandaz, hammack, veale, meyer, smith, MD, DO, Osteopath, medical clinic, medical office, HCA, Baylor, THR, Presbyterian, hospital, clinic, best doctor, internist, general medicine, general practice, geriatrics, urgent care, allergies, diabetes, DM, high blood pressure, HTN, asthma, cough, sore throat, heart attack, cholesterol, arthritis, cold, ER, RA, endocrinologist, cardiologist, dermatologist, primary care, pcp, dallas, richardson, plano doctor, nurse, physician assistant.